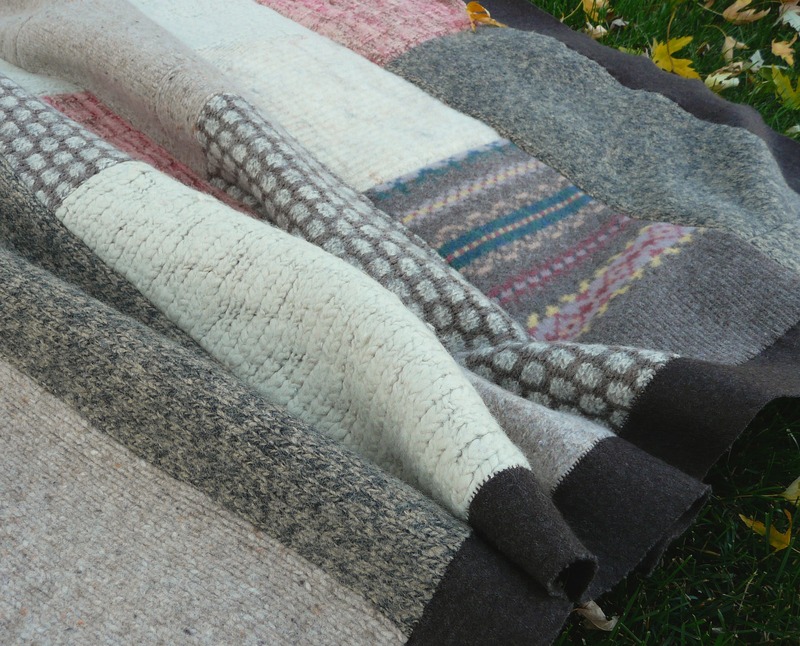 This blanket, with its soft dark-brown edging of merino wool, makes me want to curl up on a chilly day with a cup of hot cocoa. Actually, we make homemade mochas at our house, and we do it like this: stir together 1 tsp cocoa powder, 1 tsp instant coffee, 2 tsp sugar (incidentally, all those teaspoons are generous ones) and a dash of salt in a mug, then add a bit of water and stir to make a paste. Heat this in the microwave for 10 seconds–this step makes it easy to stir in milk. Add (skim) milk to fill mug and heat 1 – 1.5 minutes. Let me know if you try it or if you make up any tasty variations of your own! 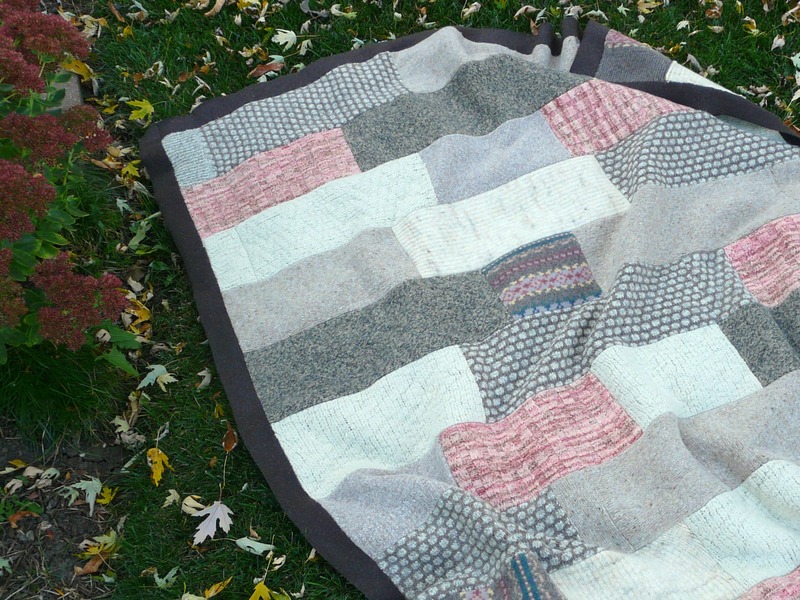 This blanket has been modified as “Sunset with Flowers” and has gone to a good home. My favorite. I might want to come see this one!